ZUN - Tomboyish Girl in Love · forums · community | osu! Last edited by HardNeper February 25, 2018 at 2:50:50 AM GMT , edited 12 times in total. [General]Your map should have Kiai. 01:11:386 - I would put it here. 01:29:280 - And end it here. Source should be 東方Project. You can put 東方紅魔郷　～ the Embodiment of Scarlet Devil (MIDI) in tags. [Easy]00:44:426 (4,5) - 00:57:399 (5,6) - These circles are 1/2 beats from each other. They are too hard for beginner. Suggest changing them to sliders. 00:16:250 (3) - It is better to end slider tail on the white line, especially in easy diff. Since easy is all about being easy, not about following the song. [Normal]01:02:467 (4) - This could be the same as 00:49:494 (4,5,6,7) Why make it different? 00:51:926 (2,3,4,5,6,7) - This part here should be the same as 01:04:899 (2,3,4,5,6,7) or the player will get confused. [Hard]Don't see anything wrong here. [Insane]00:41:791 (14,1) - Maybe stack them or overlap. They are 1 beat apart so stacking them would look neat. Idk how to mod ._. Don't forget to hitsound your map. 00:05:507 (4) - Weird distance snapping here. Keep the slider at 00:05:507 - within the pattern. 00:15:237 (4,5,6,7,8,9,10,11,12,13) - This slider does not follow the music. Listen closely: you can tell that there is no drum sound on 00:15:440 (6) - . You should emphasize the held sound and replace 00:15:237 (4,5,6,7,8,9) - accordingly, then you can have a 5-note stream at the end. Don't have that increasing spacing here, either: it's not supposed by the music and, even if it was, that kind of pattern is not recommended for these early Insane difficulties. 00:18:277 (3) - Why did you emphasize this sound by giving it huge spacing? You should have emphasized 00:18:480 (4) - instead. 00:24:967 (4) - Angle this slider downwards so you don't break the flow. Something like this would work. 00:38:953 (2,3,4,5,6,7,8,9,10,11,12,13,14) - This is absolutely horrendous. The jumps here are all random with no regard for flow or emphasis, seemingly in efforts to increase the star rating. Look at other jumpy ranked maps are done and take some notes. Or watch pishifat's video on jumps. Needless to say, you'll have to remap the jumpy parts of this difficulty. 01:23:953 (1,2,3,4) - I get that you're emphasizing the clap that the first note of this combo lands on, but that is a technique best reserved for higher-end Insanes and above. 00:09:359 (7) - Replace this with a 1/4 kickslider, since you're mapping to the drums here. Also, this slider only needs 1 middle node, not 2. 00:15:744 (5) - Move this forward one tick so that it's on the white tick. Avoid starting sliders on blue ticks, as 3/4 rhythms are generally not recommended. Shorten the repeats on this slider to just 1, as well. 00:30:237 (3,4,5) - Consider putting a kickslider here instead of a triplet. 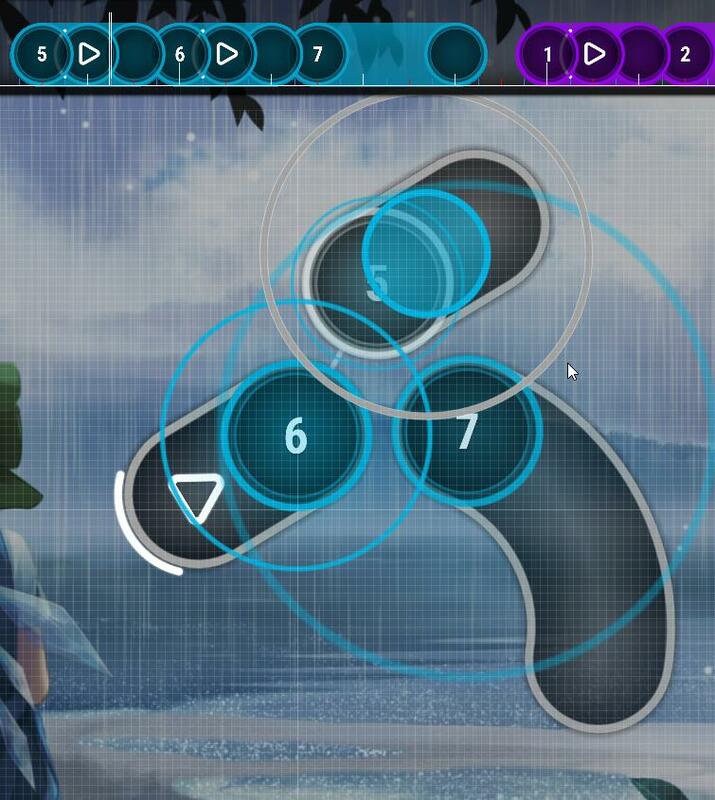 00:31:656 (1,2) - You should add a repeat to the first slider and replace the second slider's endpoint with a circle. Follows the music better. 00:40:575 (1,2,3,4,5,6,7) - Don't forget about distance snapping here. That seventh circle is just awkwardly out of place. If your goal was the emphasize the seventh circle, you'd have to make the jump larger. So large, in fact, that it would probably be an unnecessary difficulty spike, which is strongly discouraged in Hard difficulties. TL;DR: Put the seventh note back into the pattern. 00:44:832 (3) - Move this further away from 00:44:426 (4,5) - so that you can emphasize the transitive sound. 00:44:426 (1) - Don't NC here. NC at 00:44:832 (3) - instead, as the music changes a bit here. 00:57:399 (1) - Don't NC here, either. Again, NC at 00:57:805 (3) - instead. 01:10:575 (2) - Turn this kickslider into a normal circle. The slider repeat and slider end both land on sounds that you haven't been following for the whole map, and this point in the map is not the right point to introduce new concepts. 01:27:196 (1) - The head of the slider here is mapped to nothing, and the sliderend lands on an actual sound. This should be avoided in any difficulty. Replace this slider with a single circle on 01:27:399 - . If I were you, I'd raise the slider velocity. 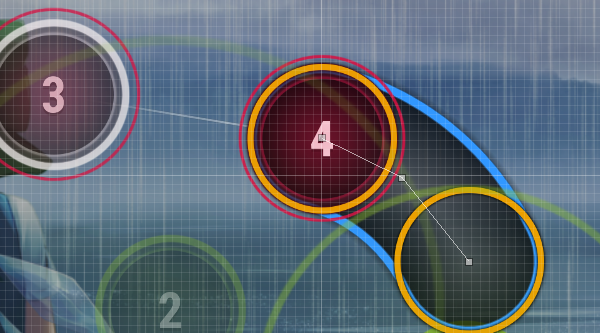 1/2 notes shouldn't be overlapping, and your Normal difficulty looks very messy because of it. 00:18:886 (5,6,7) - The emphasis is way off here. Try this. 00:23:142 (2) - This slider passes through a distinctive sound. Use the same rhythm you did for 00:21:115 (1,2) - . 00:28:210 (4) - This slider ends too early. Have it end on the red tick, not the blue one just before it. 00:33:683 (3) - Avoid 1/4 rhythms in Normal difficulties. 00:44:832 (1) - Move this further away from 00:44:426 (4,5) - so that you can emphasize the transitive sound. 01:14:021 (1,2) - Should use a kickslider here instead. This map is pretty good. The blankets are on point, as well as the aesthetics. However, there are two main issues I have regarding your Easy difficulty. Firstly, this map is very slider-heavy, and the music doesn't force that. New players tend to follow sliders as if the air they breathe depends on it, and that tendency causes your map to be more straining on a new player than it is supposed to be. Consider revising the rhythms you chose and replacing a few of the sliders with circles. Secondly, there doesn't seem to be an association between sounds and slider shapes. This is evident by 00:04:899 (4,1,2,7,9,1,1,3,1,3,2,4,1) - . These sliders are all on similar or identical sounds. Some of the sliders are curvy, some almost circular, and some are very angular. Since these are all within the same section of the song (the music doesn't really change intensity up until 00:32:467 (2) - ), they should be represented in the same or very similar ways. 00:04:899 (4) - This slider shape is uncomfortable for new players. You should straighten it out a bit. 00:05:913 (5) - Avoid 1/2 rhythms in Easy difficulties. 00:19:494 (3) - The sharp angle here doesn't really make sense. This map is pretty good. The blankets are on point, as well as the aesthetics. Thanks ! However, there are two main issues I have regarding your Easy difficulty. Thank you for your mod ! Thank you for your massive mod! Good Luck with the mapset Thanks !